Check Your CA CPT Exam Result June 2017 at icaiexam.icai.org on 18th July 2017. The Institute of Chartered Accountants of India (ICAI) conducts CA CPT exam twice in a year in the months of June and December. This time, CA CPT Students have taken the exam in the month of June 18th June 2017. Nearly one lakh students have attended the CA CPT exam.Students and their parents are eagerly waiting for Caresults. 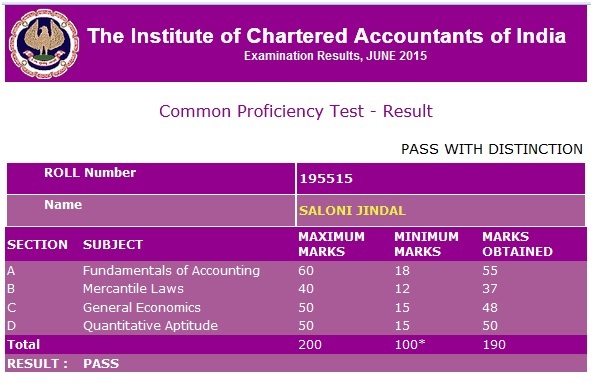 In general, ICAI takes at least one month time to declare CA CPT exam results. Recently ICAI has announced CA CPT exam result date. Check complete details below. On 11th July 2017, ICAI has announced that CA CPT exam results will be declared on Tuesday, 18th July 2017 at 2.00 P.M. After the declaration of CA CPT result, ICAI will also release CA CPTPass percentage and CA CPTCenter wise results. You can check your result from below links. 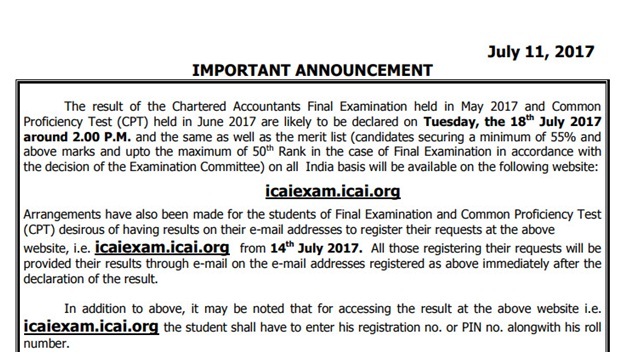 To check ICAI official notification about CA CPT Result June 2017, click here. How to Check CA CPT Result June 2017? 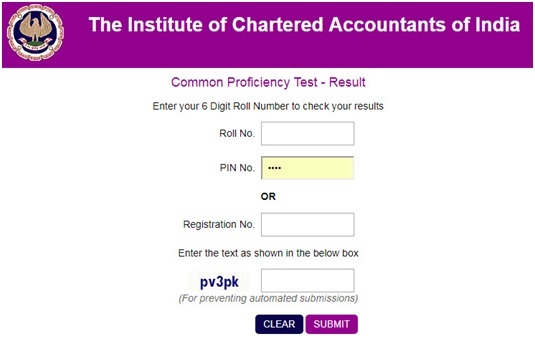 To check CA CPT exam result, you should follow below steps. Click on the link " View Result "
Print your result card for future reference. If you are trying to check this link in Mobile (Chrome Browser) it is showing the error: Unsupported Media. So, you should enable Desktop View in your mobile. Then enter the Captcha code. Your result will be visible on the screen. How to Get CA CPT Result through E-mail? Arrangements have also been made for the students of CA CPT exam desirous of having results on their e-mail addresses to register their requests at the above website, i.e. icaiexam.icai.org from 14th July 2017. All those registering their requests will be provided their results through e-mail on the e-mail addresses registered as above immediately after the declaration of the result. 1. Login on the ICAI Exam website i.e. http://icaiexam.icai.org, using your user id and password. 2. Click on the link “Email Registration". This option is available up to 17th July 2017. How to Get CA CPT Exam Results through SMS? And send the message to 58888 – for all mobile services – India Times. I Forgot My Login Password. How to Login to My Profile to view My Admit Card? Note: Login ID is your Registration Number. 2. Click on the link “Forgot Password" under Login/Register Menu. 3. There are three options available. Enter your Registration number, (Phone number or Mail), and Security answer. Enter your Registration number, Date of birth, and Security answer. Enter your Registration number, Exam application barcode number, and PIN number. You can choose any one option. If you fill your details, ICAI will send your login password to your Mail or Phone number. If you successfully log in to your profile, you can check your roll number there. If you are facing any difficulty to check your result, Call ICAI Help Line Telephone numbers: 0120 3054 851, 852, 853, 854 and 835 0120 4953 751,752, 753 and 754 or send a mail to cpt_exam@icai.in. Below is the Number of students appeared for CPT exam, Number of students passed and CA CPT exam pass percentage details. Now check below CPT pass percentage analysis of previous attempts. CA CPT Pass Percentage December 2016. Now check below CPT Pass Percentage June 2016. Discontinuation of ranks in Common Proficiency Test (CPT) It is hereby informed that in terms of the decision taken by the Examination Committee, declaration of ranks in respect of Common Proficiency Test(CPT), has been discontinued effect from CPT held in December 2015 onwards. 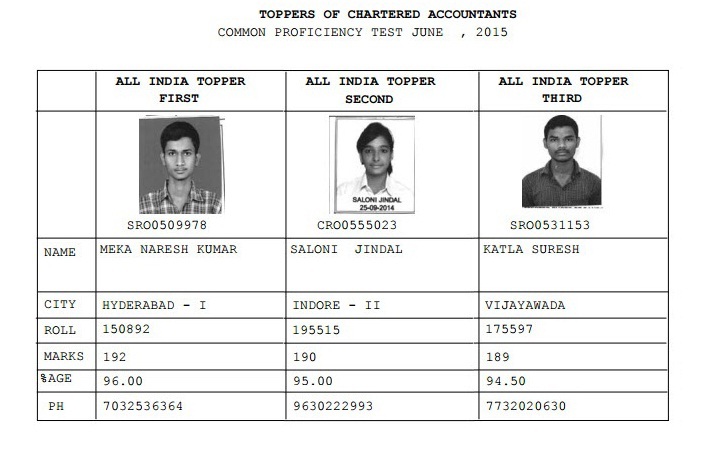 Up to June 2015 attempt, ICAI released CA CPT Toppers details. But from December 2015 attempt, ICAI hasn’t released toppers details of CA CPT exam. So it’s not possible to get CA CPT June 2017 attempt toppers mark sheets and their photos. 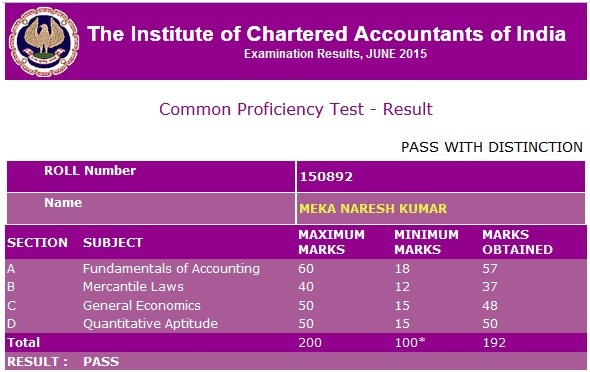 Check CPT June 2015 Toppers Mark sheets and their Photos.